Who knew that I’d get to the point someday where I’d be sharing a blog post titled, My Two Favorite Night Creams?! Alas, I am no longer 15-years-old, and I do need a little boost of help – preferably at night when I’m sound asleep, and all is calm and still, replenishing and repairing. I was invited to a private NOW Foods event in the suburbs of Illinois mid-May. 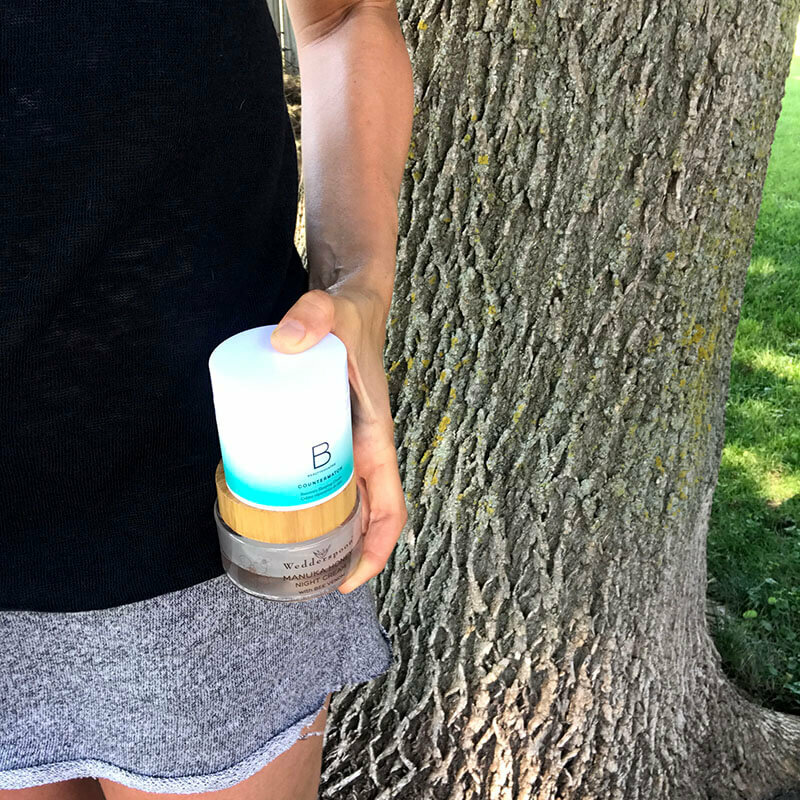 If you want the honest truth, I went because I wanted to learn more about my beloved L-Glutamine, which I am constantly talking about both here on my blog and via the A Gutsy Girl Instagram. But beyond that, I was sort of on the fence with how I felt about the company. My mind told me, “It’s all supplements; maybe minimal at that.” But again, since I’m so passionate about L-Glutamine for gut healing, I thought (maybe hoped) that possibly they would have other products I’d feel excited to share. Spoiler alert: They do have other products besides just supplements; 1,500-ish to be exact. 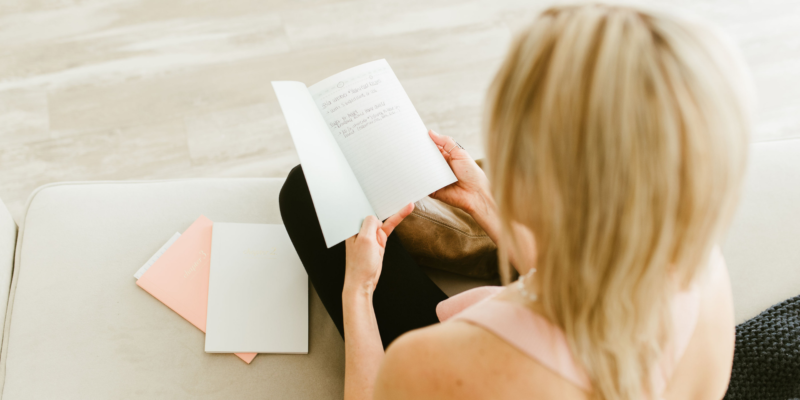 If you want to know some of my favorites, just skip to the bottom of this post where I share them PLUS enter to win them ALL! 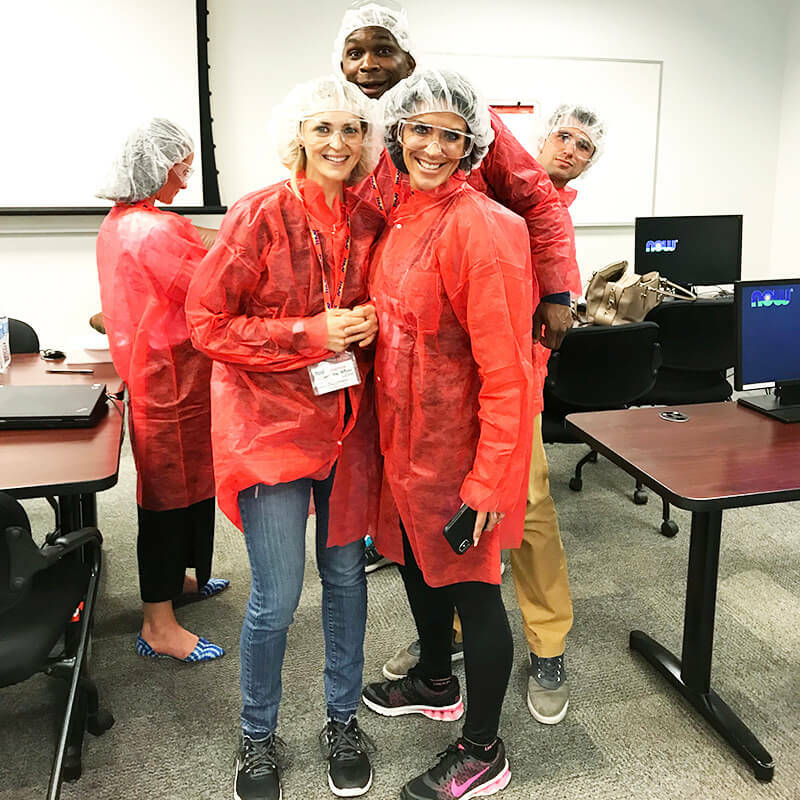 NOW Foods flew about 15-20 of us in from all over the United States on Thursday, May 17. I shared a plane ride with two other women from Minnesota and one from Washington. I sat right next to Sarah Carlson for a lovely hour conversation. They had a car waiting for us when we arrived, and our driver took us to the Itasca Resort where we were greeted with warm welcomes from Alana (a total career-driven mama like me) with the NOW Foods team. She told us the schedule for the night, and to relax until then. 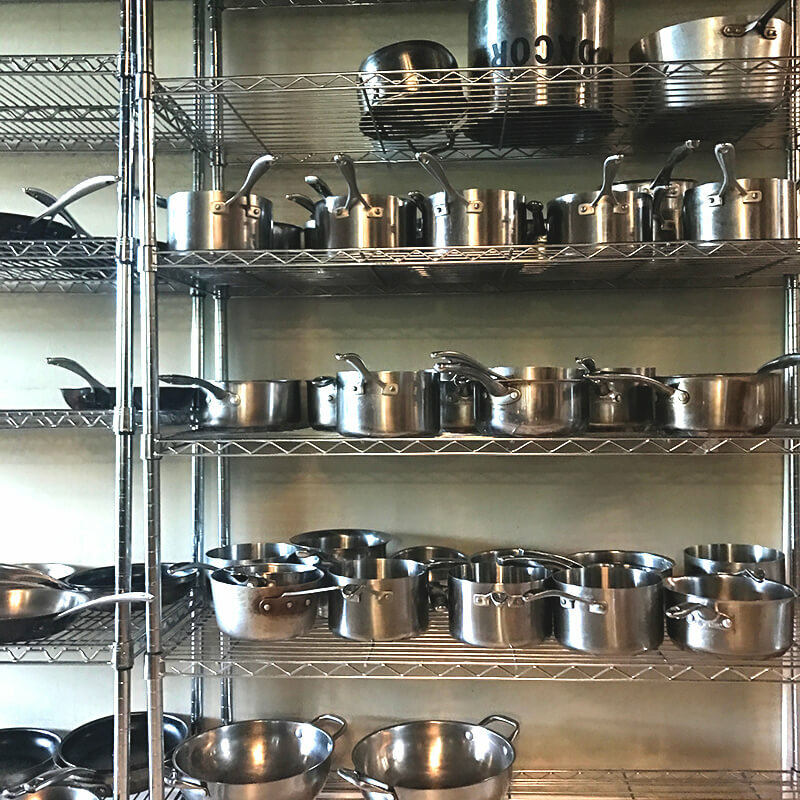 There was a room filled with NOW Foods product when I got in, so I started sorting through it all, realizing that I, in fact, really knew nothing about the company. My friend Marissa was also attending, so I sent her a text to see if she wanted to grab a quick drink before the night started. Of course she did, so we bellied up at the bar downstairs for overdue catch-up chat. I haven’t seen her in years, and we talked all things babies, work, and life. Around 5:45pm, NOW Foods had transportation waiting for us. It took us to the Cooking Skills Academy, where we spent the rest of the evening. 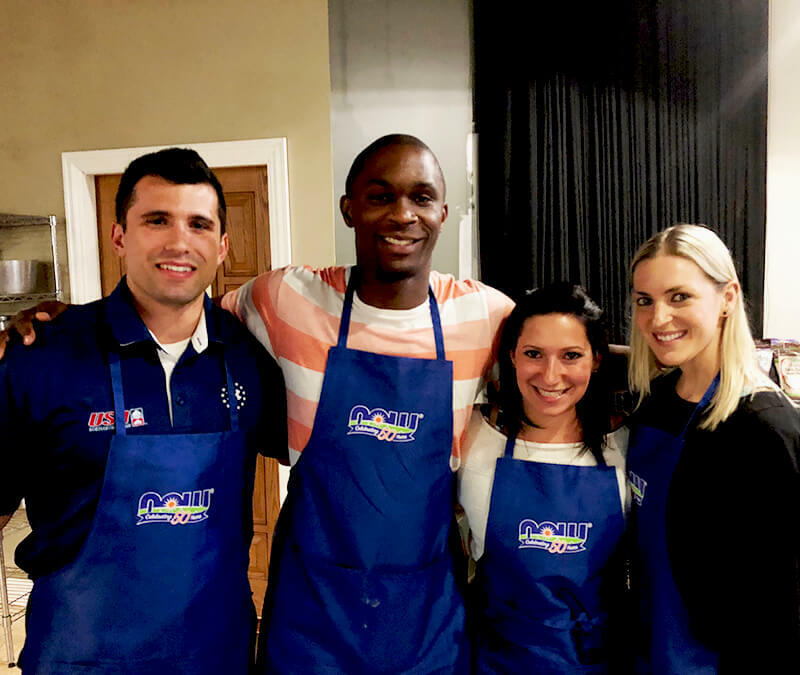 The evening began with general mingling, appetizers, and getting our colored aprons. Those with like-aprons would be on the same cooking challenge team. I got a blue apron, put it on, and grabbed little mushroom and zucchini bites while meeting as many people as I could. When the evening officially began, various people on the NOW Foods executive team spoke, including the CEO, Jim Emme and Dan Richard, the Vice President (also part of the family who owns NOW Foods). My girl Kasey Arena (aka PowerCakes) then did a cooking demonstration for her Sea Salt Chocolate Protein Glazed Donuts. Listen, I’m all about that donut life. I have made so many donuts over the years with my favorite being the recipe I altered from Grandma Josephine’s original (which can be found HERE). And I’m going to tell you right now that Kasey’s donut recipe will rival them. You will find the Donut recipe in the NOW Foods 50 Twenty-Minute Recipes e-book they just launched. It’s free, and all you have to do is click the link to download (sometimes the e-book will go to your spam, so make sure to check there, too). After that, we watched the chef do a cooking demonstration and explain what the cooking challenge was all about. You know the ropes, though because you watch the Food Network, yes?! Okay, just me. Anyways, each team had to get creative with the products available, create a dish, and then a panel of NOW Foods judges tasted and chose their favorites. My team was the best, seriously. For the record, we made a dairy-free Tzatziki sauce over quinoa pilaf with avocado. But it was too much avocado, so we failed miserably. We didn’t place in the top three, and it was really heartbreaking, but somehow we carried on. Somehow. That was not dinner, thank God. I had fish and vegetables and salad, and then of course dessert – I think it was a cookie and brownie or something; all gluten-free, of course. During dinner, Jim, the CEO, sat at our table so we could fire off whatever questions we wanted to him. He sat there and, very diligently and thoughtfully, answered every last one. He told us repeatedly how much he appreciated us all flying in, how they value our help in sharing their story, and how they have always and will always maintain their commitment to excellence. As the night wrapped up, I was so glad to be there. I woke up bright and early, per the usual, but I was tired from the night before, so I hobbled downstairs to get coffee. Alana was there, we chatted while in line, and she bought my java fix. I walked back to my room, changed into workout clothes, and got myself ready for the morning workout. The day started at 6:40am when we all met to walk for the morning workout, and the workout started around 7am. Kasey, in addition to her professional donut-making skills, is a fitness trainer. She lead us through about an hour HIIT workout. Guys – I used bands for squats near the end of the workout, and I thought I might die. I was a champ and hung in there until she really did us in with the grand finale – Tabata style burpees. So. Fun. The workout ended at 8am, and NOW Foods had a huge smoothie bar waiting for us. There was anything and everything you could think of to make a great smoothie; fruit, greens, protein powder, supplemental boosts, dairy-free milks, all of it. I made a huge smoothie, drank it quickly, and then went back up to taste the Mocha MCT Oil because it just sounded so good (it was, and I now have some for my coffee – it’s so good that I included it in my giveaway below). While sipping on those smoothies, the Sports Brand Manager and Fitness Trainer spoke to us. I didn’t even know this category existed for them (like most of the other categories). They have everything from protein powders to amino acids. 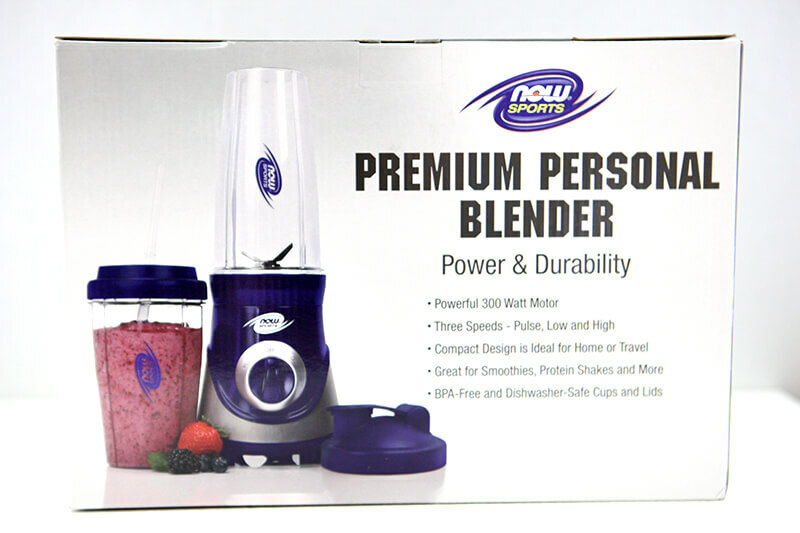 Norris was going to make a video on site for the NOW Foods team, so he and Frankie were in a room getting ready to shoot that after smoothies. I was tempted to stay, play, and pick up some new video tricks, but I was sitting in drenched sweat and didn’t feel like anyone would want to hang with me the rest of the day if I didn’t shower. So off I went. We all had breakfast together, and then a driver took us all to the NOW Foods plant. We saw just one of their plants and it was huge. They went into great detail about their testing methods and how everything is carefully produced. I couldn’t get enough of the L-Glutamine coming off the line. After the plant tour we had lunch. It kind of seems like that’s all we did – eat. I mean, that’s kind of accurate actually. They always had stuff waiting for us. We finished the day by learning about their oils and other body care products. We made our own bath soak/scrub and a gym equipment cleansing spray (with oils). And once that was over, Leslie lead us through meditation, which was so peaceful. I felt like I was by a river and fell asleep. Go figure. I definitely was not ready for our time there to be over so quickly. My only wish for the event is that it would have been longer. NOW Foods gave us a huge bag of products, valued over $500, in addition to everything else. They also told us we could give that same bag full of things to someone. Even though both this post and the trip were sponsored, I reached out to Alana immediately when I returned to see if I could customize a gift for one of you because while I firmly believe the company and products are high class and fantastic and would fully recommend them, my goal is to share with you the products I personally would use regularly. 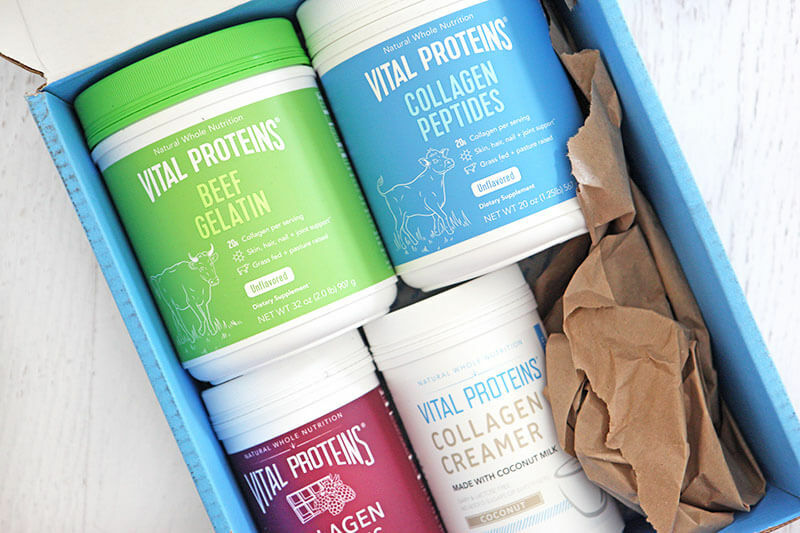 If you’ve followed me for any length of time, you know those products typically fall under: gut health and healing (almost always), thyroid + adrenal support, and now oftentimes things for the kids. With that said, here are the items I hand-picked to give to one of you. Follow NOW Foods on Instagram HERE. 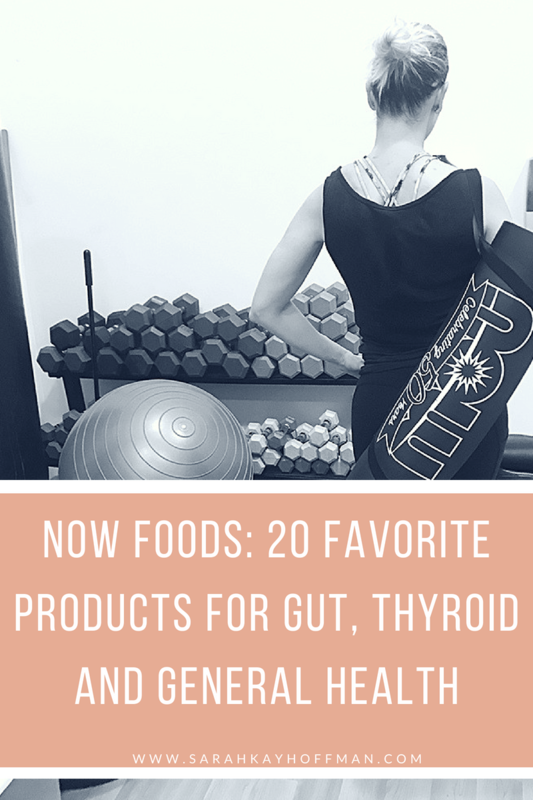 Leave a comment on this post which of the 20 products listed you’d want to try most. As I mentioned in the beginning, NOW Foods has 1,500-ish products. If the ones I like don’t interest you, I promise something will. And the reason you should support them is because good, honest companies with great ethics and phenomenal leadership from the top are so, so, so hard to find. I’m looking forward to working with them much more in the upcoming year, so please let me know if you have any questions. Awhile back on Facebook an ad for Studio Run popped up (go figure – Facebook knows everything about us 🙂 ). I asked if anyone had tried it. It’s new, so no one had, but people commented that if I tried it to let them know what I thought. I did the free trial immediately, and 7 days later purchased it. 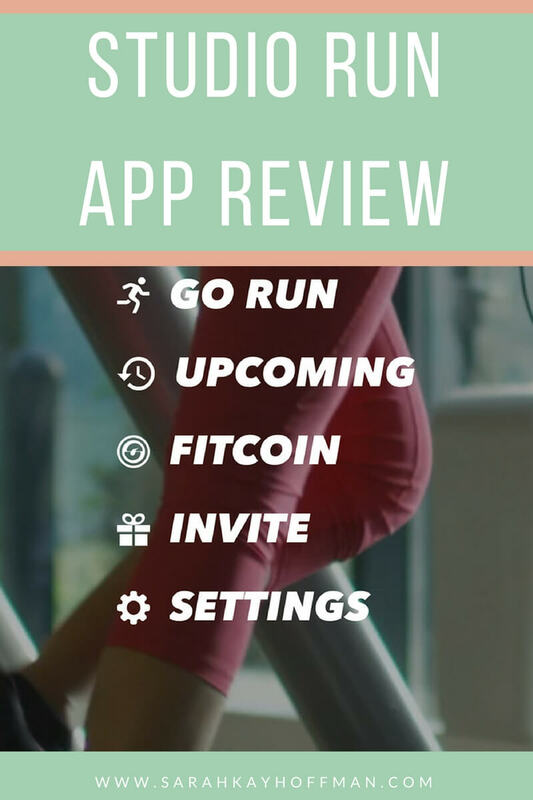 I’m ready to share my Studio Run App review. 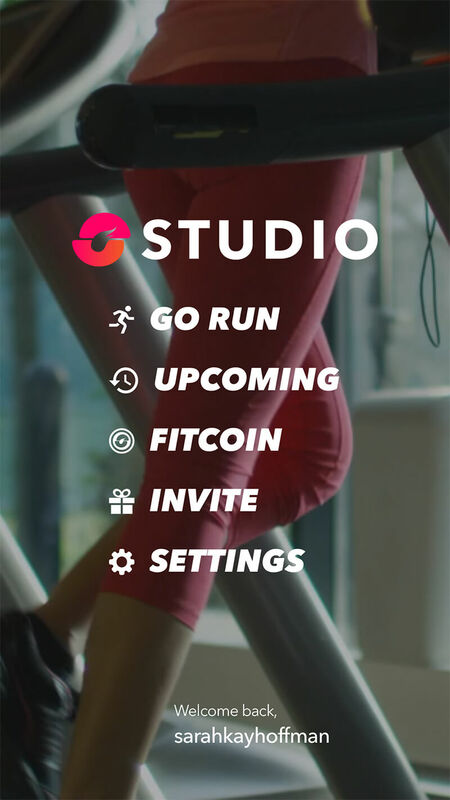 What is Studio Run App? 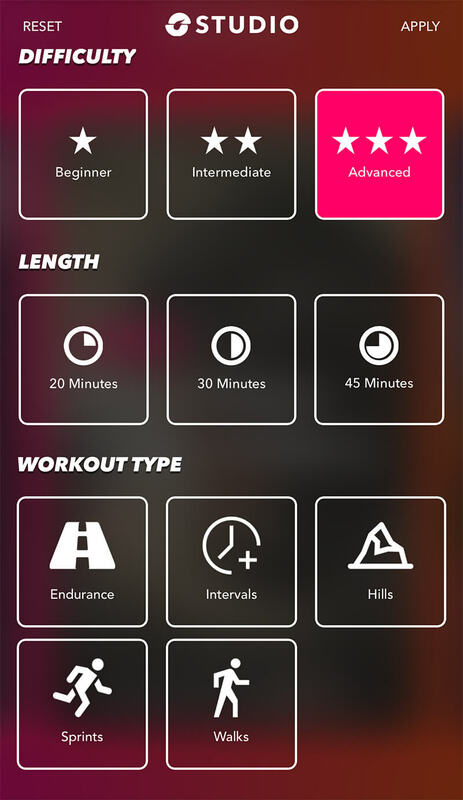 It’s an app that allows you to take running classes from the comfort of your own home, on your own treadmill. I typically only choose the difficulty and length each day and based on the results, make a decision at that point. It depends which workout and instructor you choose, but immediately upon choosing the workout, their voice + music will come on. Simultaneously a countdown timer begins for whatever length you chose. And then they guide you through the entire workout, telling you when to increase/decrease speed, increase/decrease incline, and foreshadow for what’s coming up next. Many times I’ll choose a workout based on the type of music I’m interested in listening to that day. I’ve listened to all the genres so far, and yesterday I saw a country one for the first time. 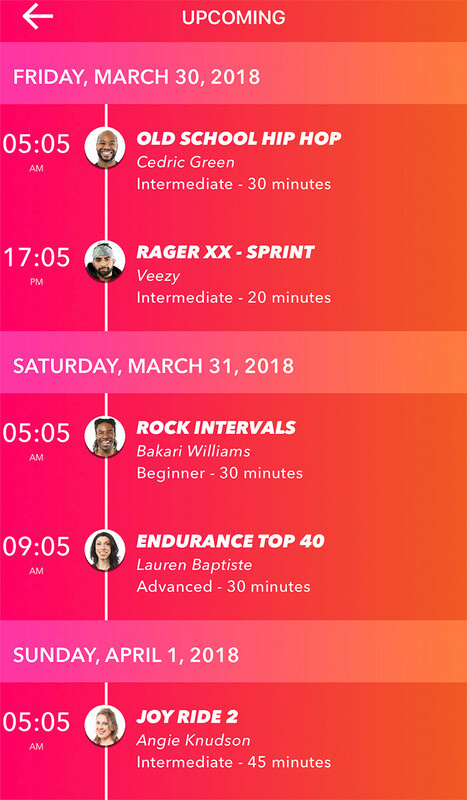 If you scroll to the bottom of the Studio Run App homepage, you’ll see a list of trainers. Once you’ve taken enough classes and tried a variety of instructors, you’ll get a sense for whose style you like best. I’ve never taken a bad class yet, but I love Veezy. Not only are the workouts awesome, but he has all sorts of motivational thoughts throughout the workout. Fitcoin is their virtual currency. You earn it after every single class based upon how long you’ve run for and how far you’ve run. 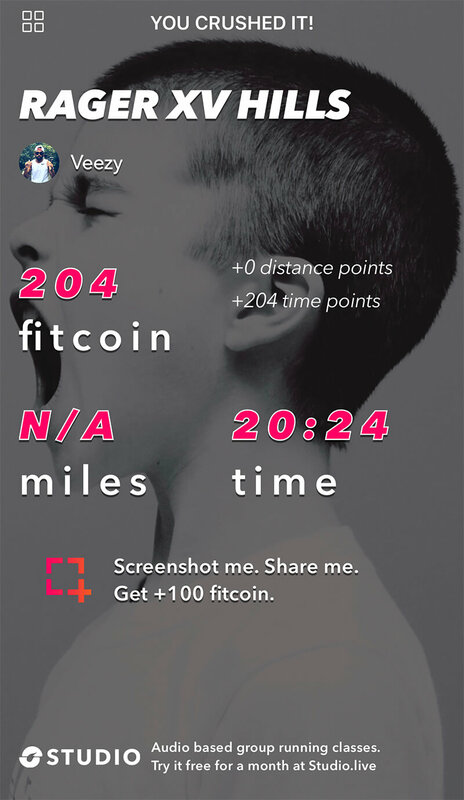 Your Fitcoin allows you to rank up and show your status off on the leaderboard. Every user starts out as a ???? Basic Bear. 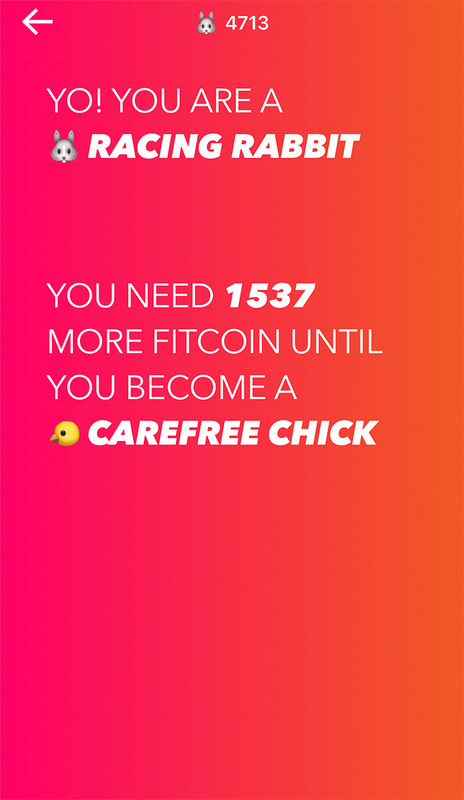 I only need 1537 more Fitcoin until I become a Carefree Chick. Ha. Love it. FREE trial for the first 7 days. Seriously, just try it if you’re on the fence and then decide. After that it’s $14.99 if you pay by the month (which is what I do currently) or you can pay up front (about $100) and it ends up being $8.33 per month. Easy? Yes. There is an option to walk. If you’ve never run before, just start there. Y’all know my running history by now, yes? If I need to remind you….I ran about a 13-14-minute mile in high school. I was NOT a runner. I never thought I’d be running like I can today. In 2008-ish, I just started. Run, walk, run, walk. Hard? Yes. One of the first workouts I did was with Adam Wasserman. We trained for 6-minute miles, and I thought I might die. After I used the app awhile, I connected with Lisa (another instructor), to ask a series of questions for this post. Here were the questions and answers. When can we expect an iPad version of the app? As soon as we can make that available, we will – so the answer is at some point, hopefully soon. The issue is that iPad does not have health kit (the apple program) and health kit is required for tracking within Studio! What is the “upcoming” feature? Upcoming is upcoming classes. That may change to schedule moving forward but just a list of what classes are upcoming and at what times. Usually it is for a week out, but as our process becomes more streamlined anticipate being able to see more than 1 week out on the schedule. SKH note: on the main screen is where you see this “Upcoming” option. How come you can’t hit “pause” on a workout? Anything new and exciting coming up next? 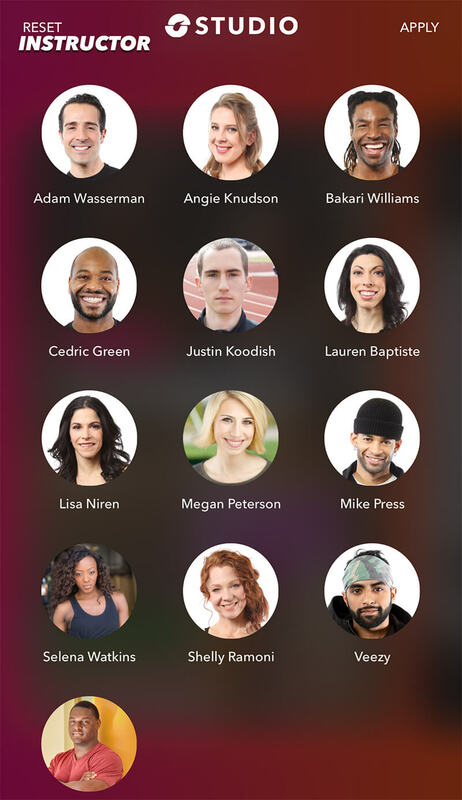 LOTS of exciting new features, workouts and classes coming up – you have to stay tuned to find out. This is only the beginning. Providing you the best content, instructors, constantly varied workouts and functional training movements is of the utmost importance. For us, the name of the game is accessibility so imagine the possibilities with us being even more readily available to you in many ways. For now, keep earning that FITCOIN – you are going to want to have a LOT of it! So the final question is, “Would you recommend this app?” The answer is a very clear “Yes.” Moving back to Minnesota this winter meant that I had to get creative with workouts. I don’t want to go to the gym every single day because…..time (this is why I can’t wait to have my home gym back again), but there is no way I’m about to head outside for a run when it’s freezing cold. If you have a treadmill at home and it’s been collecting dust, this is the perfect way to dust it off and get moving! The workouts go by so fast, and they are effective. In fact, I even do these workouts at the gym on the treadmill and I’ll continue doing them through summer because I love that I don’t have to think about a workout – what to do, what speed, incline, etc. I make approximately 8 million decisions a day, and I’m grateful that someone else makes this one for me. Even if you only used it one time per week each month and paid month-to-month ($14.99), that’s a little less than $4.00 per class, which is so worth it! Click HERE to learn more. Alternatively, if you want me to shoot you an email and/or text with a direct link to it, simply email me HERE your email address or number and I’ll send immediately. New Hope released the blogging team’s top Expo West finds on Friday. Each of us was tasked to come back with three. 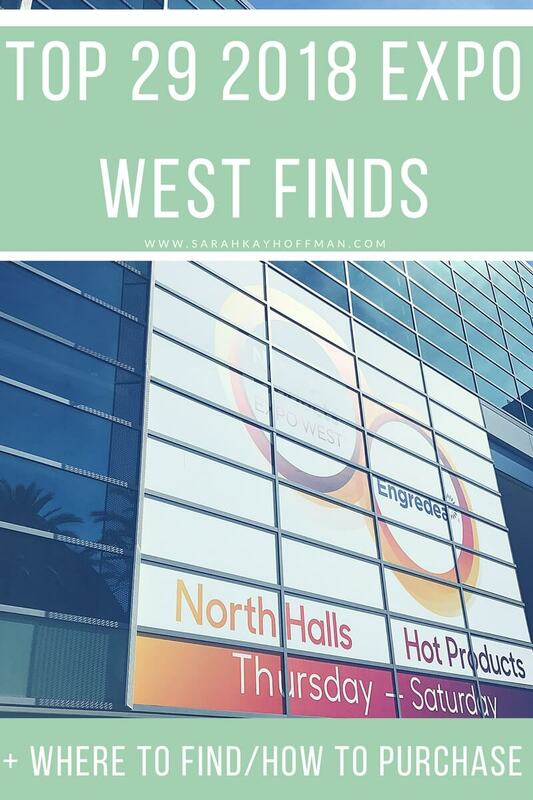 My top three can be found HERE, and I have also included them in my top 29 2018 Expo West finds below. I am well aware now of the California bubble we lived in, so in addition to sharing the products with you, I’ll link to anywhere you might be able to purchase them and/or shop at the store for them, namely their website, Amazon, Thrive Market (make sure you grab a membership HERE), and/or a retail location. Note: The below information is as accurate as I could find. As the products become available online and offline, or I get new information, I’ll update the post. Make sure to Bookmark this post or save it for later to get the latest information. Wildway Foods, Smoothie Bowl Starter Kit. Wildway Foods released a smoothie bowl starter kit, and it’s incredible. Now, instead of adding in all your nutritional boosts, one at a time (l-glutamine, MCT powder, ashwagandha, maca, etc. ), you can buy one product that includes many of them in one. For all the smoothie and smoothie bowl enthusiasts out there, this will be a game changer! Purchase: I believe you can only get this through their website currently. Simple Mills Soft Baked Cookies, Snickerdoodle, Peanut Butter, and Chocolate Chip. In my life, I’ve barely ever had a cookie that tastes this good, much less one from a package with minimal ingredients. 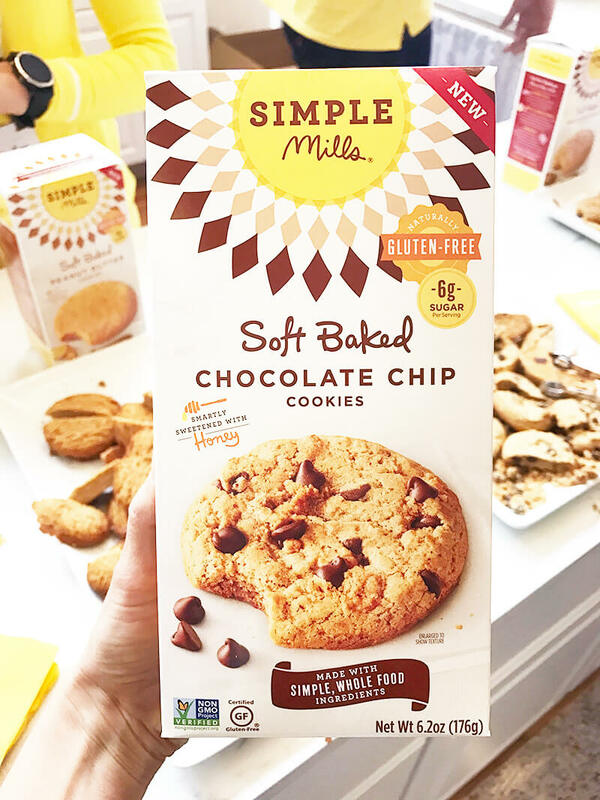 Simple Mills’ cookies are a home run. 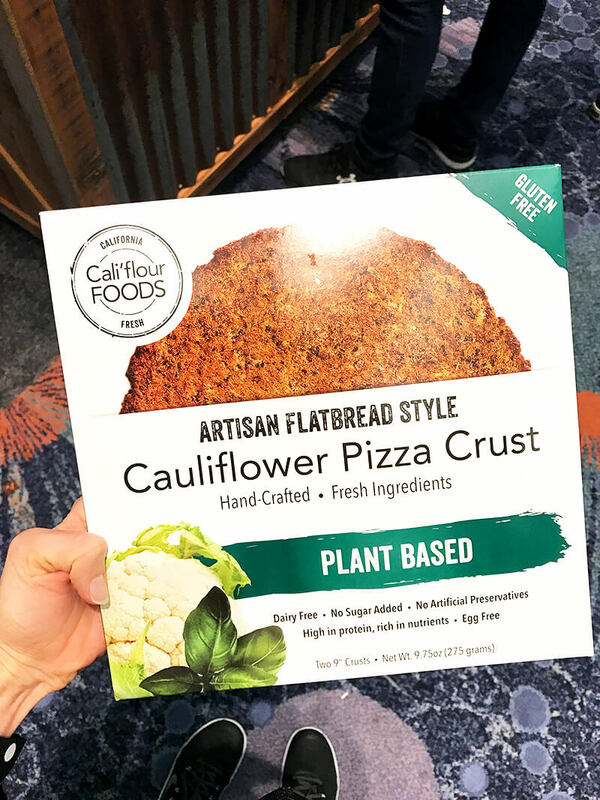 Cauli’flour Foods, Cauliflower Pizza Crust Plant Based. I was skeptical on a cauliflower crust because of taste and concerns that other (unnecessary) ingredients would be added to them. And then I stumbled upon Cauli’flour Foods and their cauliflower pizza crust. I’m the biggest fan of their plant based one because it contains the least amount of ingredients. Purchase: Their website. A store near you. Barnana, Plantain Chips. Holy cows! These rocked my world. Best part? On Saturday when we went grocery shopping at Hy-Vee in Mankato, we spotted them there already. I am basic and dig the plain, Himalayan Pink Salt ones, but if you want a little zing, try the Acupulco Lime. Purchase. Their website. A store near you. Amazon. I saw them on Thrive Market, but I’m not seeing them there now. Elmhurst Milked, Cashew. This is hands down one of the best plant-based milks I’ve ever had in my life. 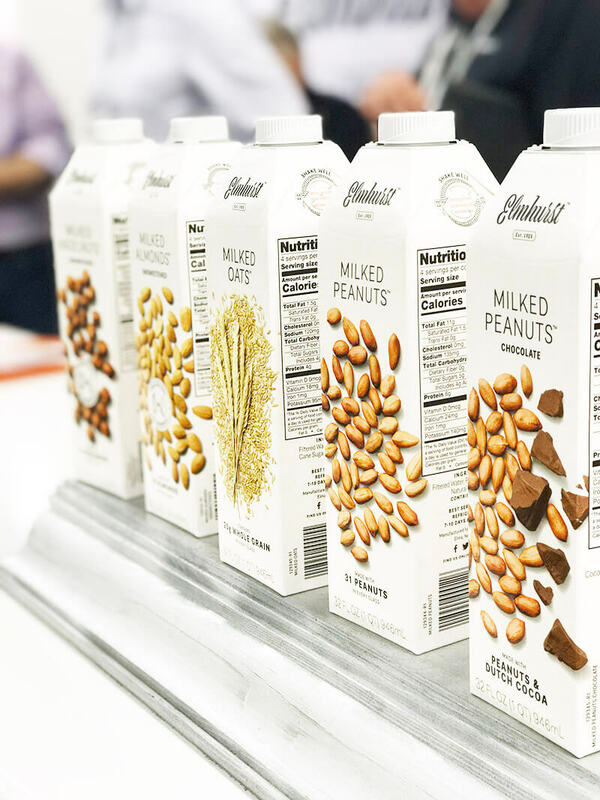 The reason is simple: they actually use Cashews in their milk vs. water with a couple cashews added. Elmhurst is a client, so I know everything about their process and technologies to make the best nut, grain, and seed “milks” on the market. People couldn’t get enough of this one at Expo. They were also digging the Milked Peanuts + Unsweetened Milked Almonds. Purchase: Online at Elmhurst1925.com (because of the technologies it’s shelf-stable and you can have it auto-shipped to you via subscription). A store near you (I’ve seen it at Fresh Market in Shakopee). 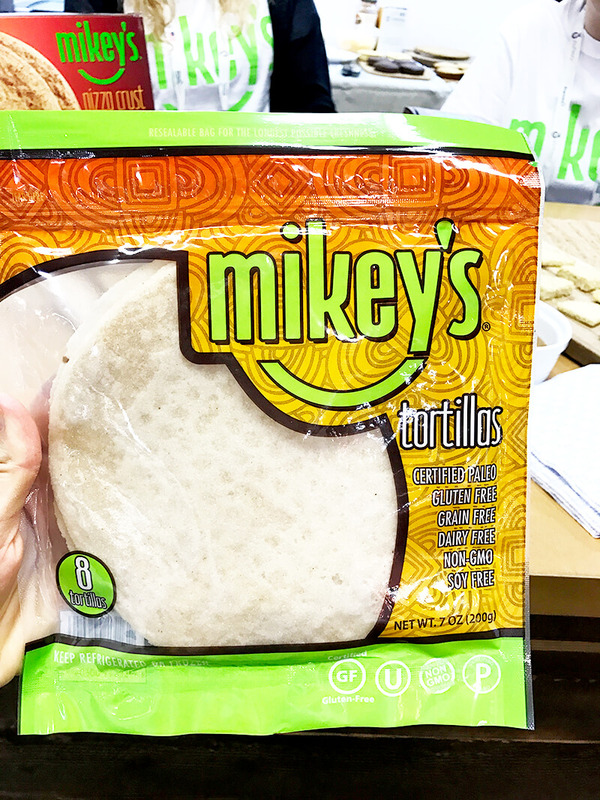 Mikey’s Tortillas. Last year at Expo West I found some coconut tortillas. We bought them a few times after Expo, but they annoyed me so badly because they were super crumbly and I could never do anything with them. So when I found these tortillas from Mikey’s this year, I was excited. I tried them in a Vegan quesadilla they were sampling, and it was incredible. Purchase: A store near you. Hilary’s Eat Well, Spicy Veggie Breakfast Sausage. I tried a ton of Hilary’s products, and was super impressed with all of them, but I really loved these breakfast sausages that are Vegan. They were hearty, with a great flavor. I didn’t find them very spicy, and I’m very sensitive to spice. Purchase: Online. A store near you. 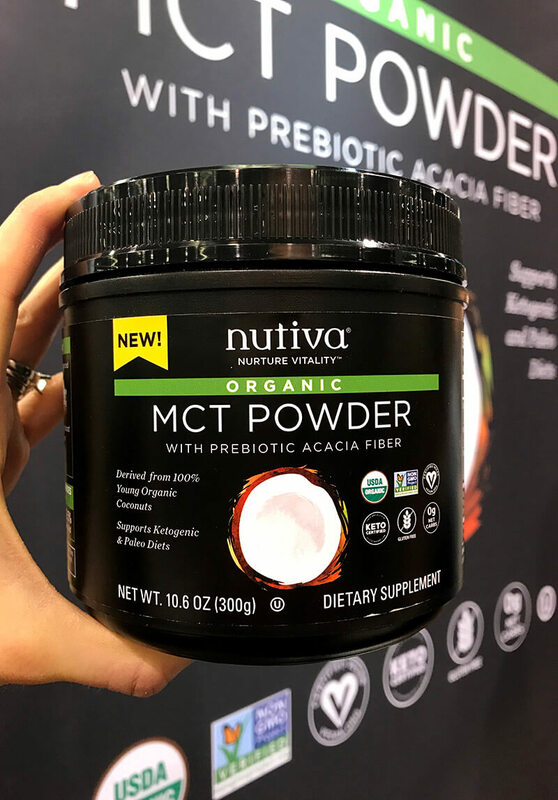 Nutiva MCT Powder. Obviously by now you know that Nutiva is a long-standing client. I’ve known about this product coming out for a long time now, and I’m excited by it. 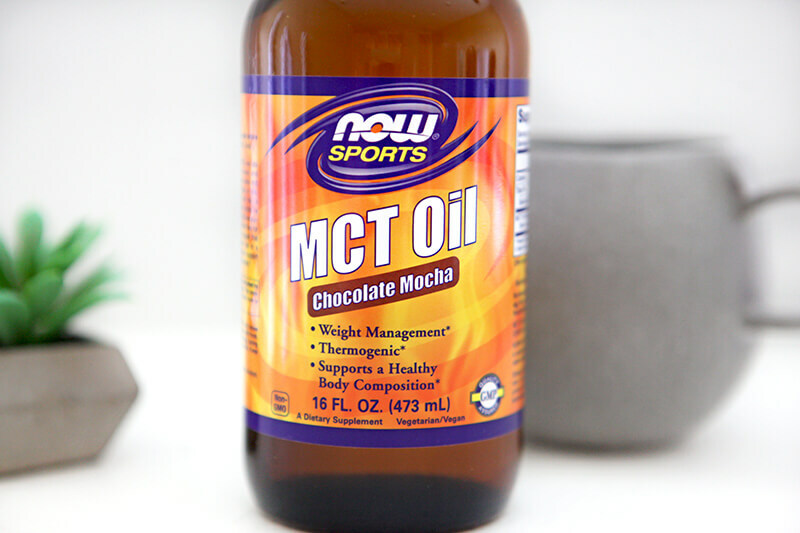 It has been said that MCT burns fat, boosts energy, and enhances mental clarity. Purchase: It’s not available quite yet, but watch their website for official release. 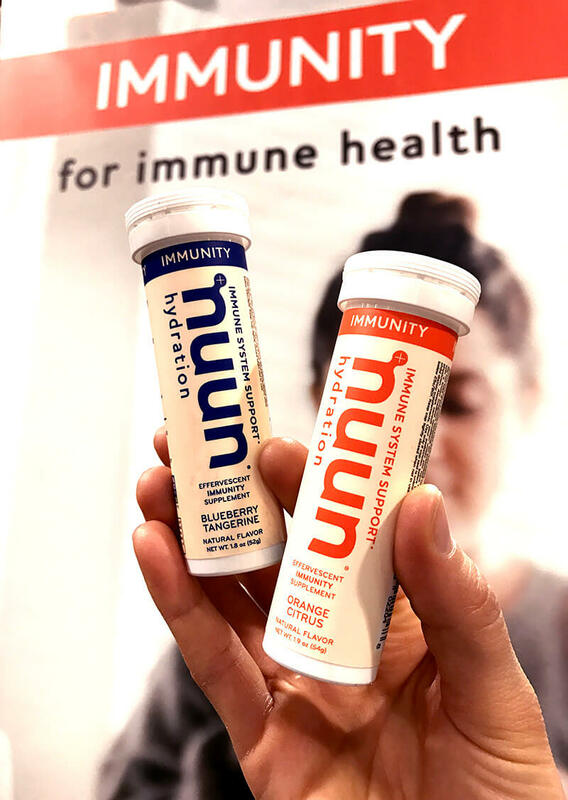 Nuun, Immunity. I spent time with the Nuun team at Expo West again this year. I love getting the chance to talk to Vishal, who develops all their products (and is an athlete himself). Fun fact that I learned this year is that he develops all of Kara’s hydration nutrition. I also was unaware that she is from Duluth, MN. Anyways, this year they launched a new line, Immunity. Immunity is an antioxidant, anti-inflammatory blend developed to restore and defend immune health. It was designed for athletes and benefits everyone. Given hydration is such a key component in immune health the delivery is the effervescent tablet which is taken with 16 ounces of water per serving. Immunity is the only Non-GMO Project Verified effervescent tablet product on the market, and certified Vegan and Gluten Free and certified Informed Choice – Safe for Sport. 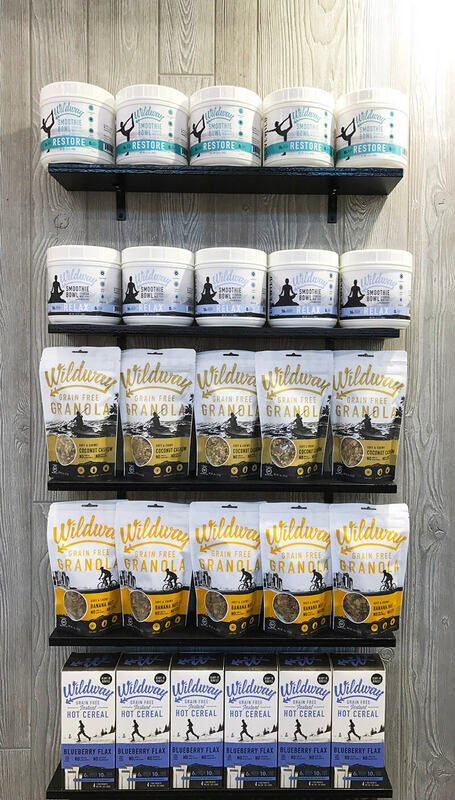 Purchase: It will be available at the following retailers beginning in spring and into summer 2018: Whole Foods, Sprouts, Fresh Thyme, Earth Fare, Lucky’s, Bartlett Drugs, Pharmaca, PCC Community Markets, REI, Performance Bikes, Running Sports Group (RSG) and 100’s of other independent grocers and sports specialty retailers. Om, Mushroom Powder. All the mushrooms, all the time – at least that’s what it seemed like at Expo this year. Mushrooms have picked up quite a bit of steam. I was a fan of this brand because I learned that they grow all their own mushrooms. They have both functional and single-species blends. 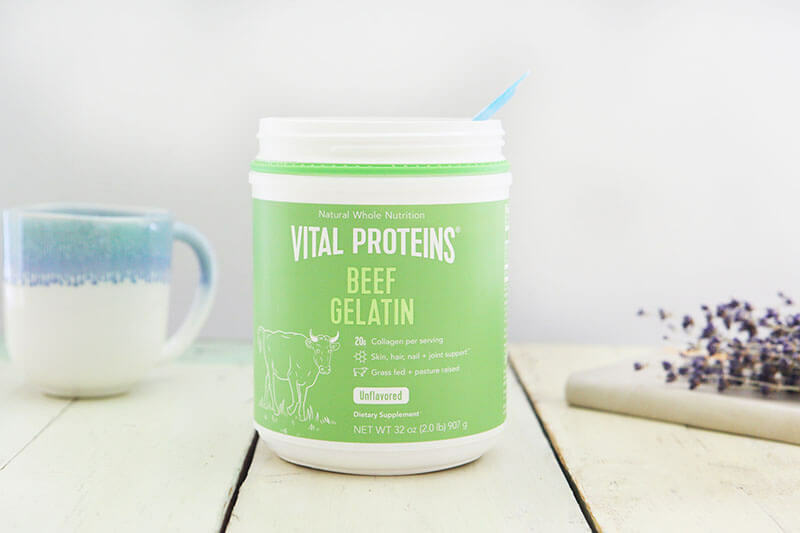 While the Wildway Foods Smoothie Starter has a ton of amazing things already included, this is a product I’d buy to also add to smoothies, oatmeal, etc. I am very interested in researching the medicinal properties of mushrooms, and as I do, I’m happy to share with you. Purchase: Amazon. A store near you. Siete, Grain Free Tortilla Chips Ranch. Siete is constantly coming out with the best in the grain-free chips-snacking category. At Expo, I had the chance to try a new flavor that will be launching, but is not yet available, their Ranch chips. Through Thrive Market, we are constantly buying their Sea Salt Grain Free Tortilla Chips for the kids (and us), and I’ll definitely add these to the rotation once they are available. Purchase: They are not available yet, but will be available soon at a store near you. Charlotte’s Web, Premium Hemp Extract Supplement. 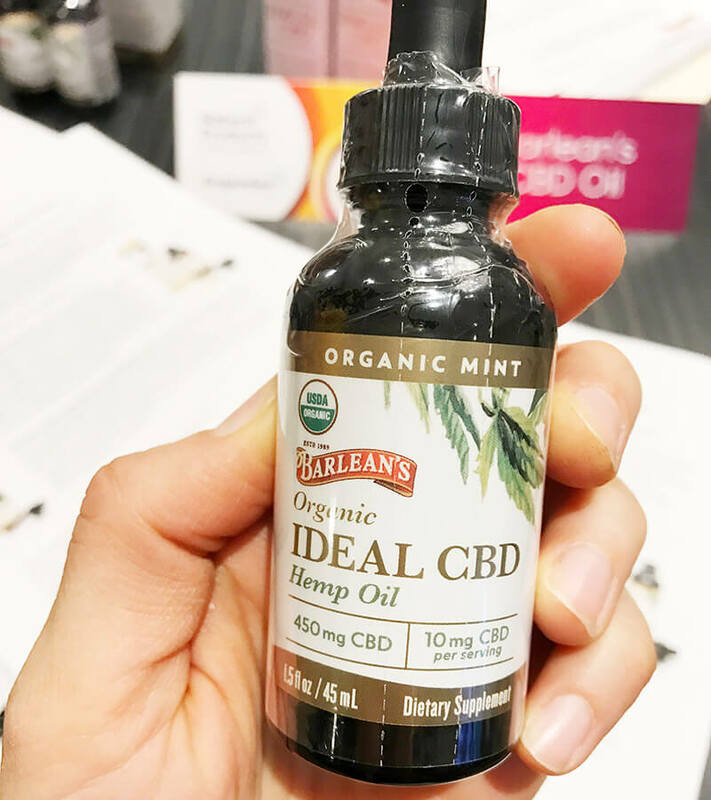 CBD in all the things and conversations was huge at Expo West this year. I was such a fan, in fact, that I included CBD products twice on this list. I tried the Mint Chocolate flavor, and it was fantastic. Learn more about hemp CBD through their blog (which I love for it’s clean, simple look). Lotus Foods, Ramen Noodle Soup Cups. 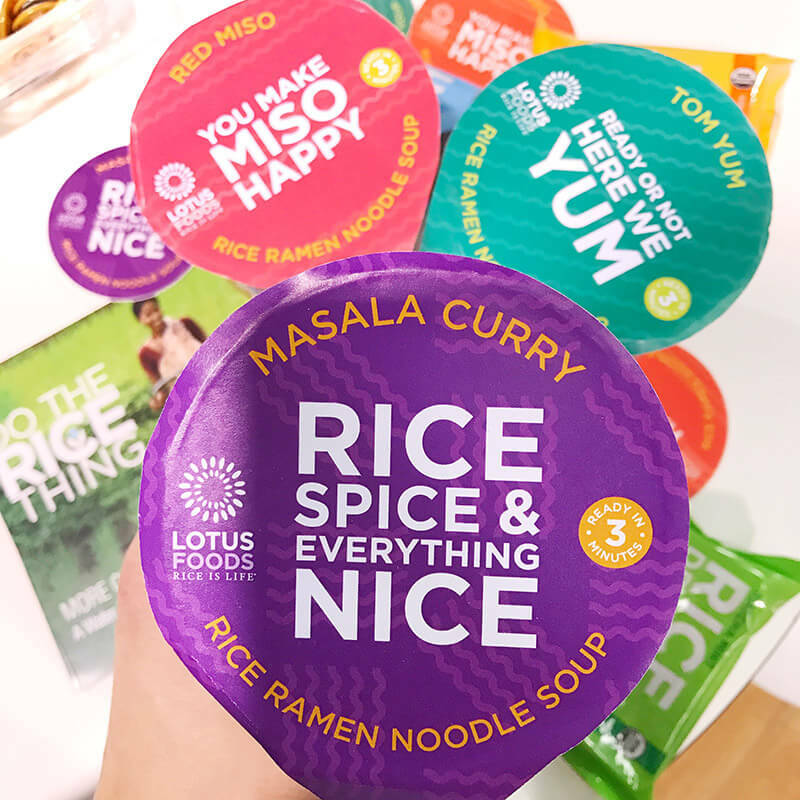 Lotus Foods is another client, but I adore them for so many reasons, namely, their mission, but also that they have created rice, ramen, and pad thai noodles that I can actually eat (because they are gluten free and rice-based). First they upped the ante when they came out with pure, crap-free ramen noodles (we buy THESE because there is nothin’ but noodle there), and now they have upped it even more. Releasing sometime this summer will be the Ramen Noodle Soup Cups. You realize what that means, right? On-the-go ramen soup, like the traditional, but made for those who care to have a quality product. Purchase: Stay tuned to their website for release. It will also be announced through their Instagram immediately once it’s ready. Made in Nature, tons of brand new snacks. I can’t, we can’t, get enough of Made in Nature because…..snacks. Snacks for me, snacks for Ryan, snacks for the kids, and snacks for on-the-go. 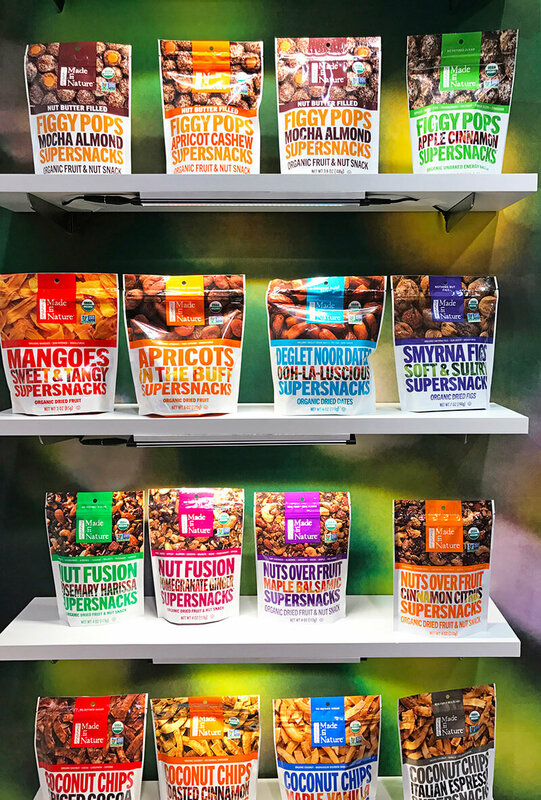 At Expo West they released, Dried Dragon Fruit (this was my favorite,­ exotic and delicious – nothing added, it’s just the fruit), Mango Pops, Veggie Pops (LOVED these, especially because I can’t do dried fruit 24/7. 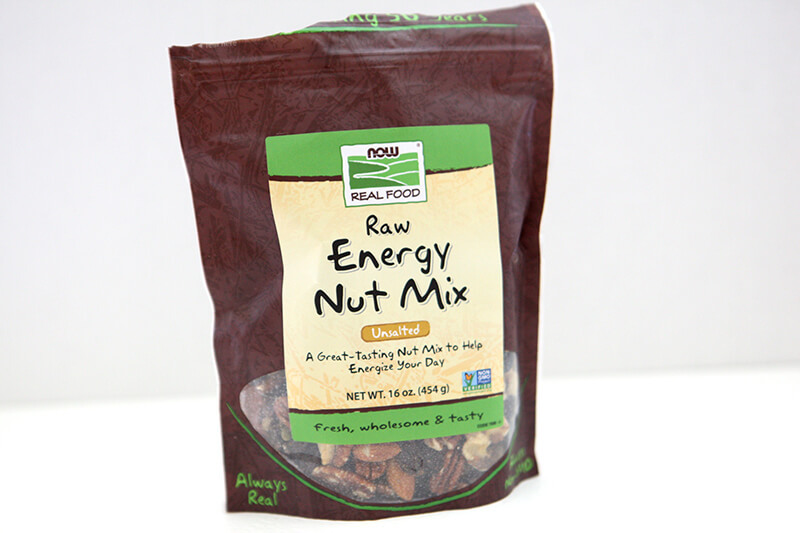 ­Plant-based, crunchy snacks made with whole vegetables, seeds, nuts, and legumes. One serving of this snack gives you 2 servings of vegetables, 8 grams of protein, and 4 grams of fiber. These come in 3 flavors ­ Salt and Pepper, Broccoli Cheddar, Sour Cream and Onion. ), and Raspberry Chocolate Berry Pops ­(healthy indulgence for cravings). Justin’s, Dark Chocolate Cashew Butter Cups. I’m not sure I even need to say much about these because….dark chocolate + cashew butter in a cup. Purchase: They are not available yet, but watch their website for release. Justin’s, Maple Cashew Butter. Long before I developed my own nut butter line, I was obsessed with them. When people ask me, “What do you eat nut butter with?” My response is usually just, “A spoon.” Seriously. A spoon is all you need with nut butters like this. Remember, it’s why my company was called, “A Loving Spoon nut butters.” This new flavor, Maple Cashew Butter, that Justin’s is releasing fits the same bill. Spoon, dip, spoon, indulge. Purchase: It is not available yet, but watch their website for release. Grillo’s Pickles. I don’t know what it was about these pickles, but dang were they good. Note: I didn’t see Bubbies there (they were obv there, though), but I’m also a huge, huge Bubbies fan. I was mostly digging the Bread & Butter Chips. Sir Kensington’s, Ranch. I have missed Ranch dressing for years (I can’t even remember the last time I had the traditional Ranch), so when I saw Sir Kensington’s was launching their own version, I couldn’t wait to try it. And let me tell you – it did not disappoint. I even think Ryan is going to love it! It will come in four “flavors:” Classic, Pizza, Avocado Oil, and Buffalo. I tried the Classic and Buffalo at Expo West with veggies and as soon as they release, we are buying all four. 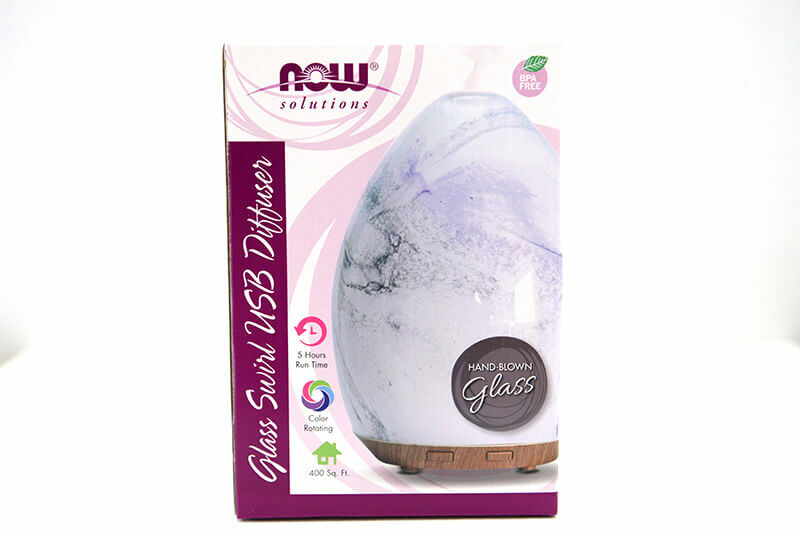 Purchase: This product is not yet available, but if you go to their homepage, you can be notified when the products are ready. Purchase: I don’t think these are available anywhere yet, but watch their website for release. Barlean’s Organic Ideal CBD Hemp Oil. This was the second CBD product I tried. I think the flavor on this one is incredible….if you like that earthy-plant taste. It was truly authentic to what I’d envision from a CBD oil. Purchase: This is not available yet, but watch their website for release. Paleo Bar, Chocolate Lava and Cookie Dough. By now you know about my obsession with Paleo Bar. I talk about them all the time, and last year they made my Top 5 Favorite Paleo Bars list. Up until Expo West, though, the sun butter one is the only one I’ve ever had. I tried these two new-to-me flavors at Expo West, but I don’t think they are new by any means. Loved them. Both of them. Purchase: Their website. Amazon (Cookie Dough) + Amazon (Chocolate Lava). Teton Waters Ranch, 100% Grass-Fed Sausage. I spent a lot of time eating snacks, so whenever I’d find something hearty and meaty, I was all in. However, I met Teton Waters Ranch at a private breakfast I was invited to. My two favorite brands present at the breakfast were Teton Waters Ranch and Vital Farms. Eggs and sausage? Yes, please. Purchase: A store near you (Costco carries). Lakanto, Brownie Mix. I no longer consume Stevia on a daily basis. We broke up quite some time back. (In small quantities, sometimes, I’ll allow it, but I would never just buy Stevia packets or liquid anymore.) Instead, there are three main sweeteners we use in our house: Monkfruit, Coconut Sugar, and Honey. 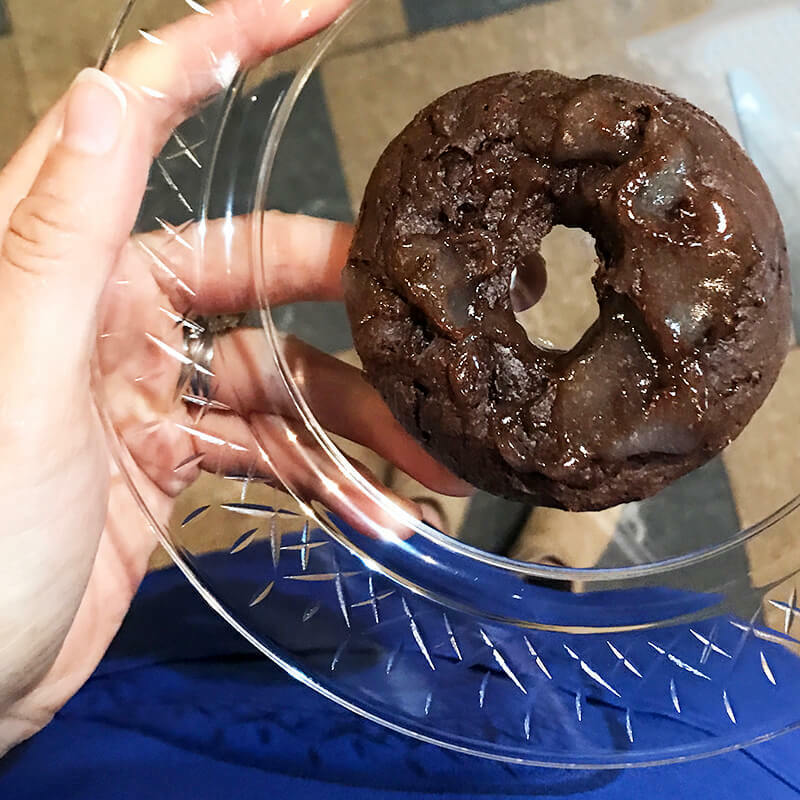 Lakanto is the company for all things Monkfruit, and at Expo they released their Brownie Mix. Holy Hannah – get those away from me. Or not. Seriously, don’t take them away. They are so good! Purchase: They are not yet available, but watch their website for release. 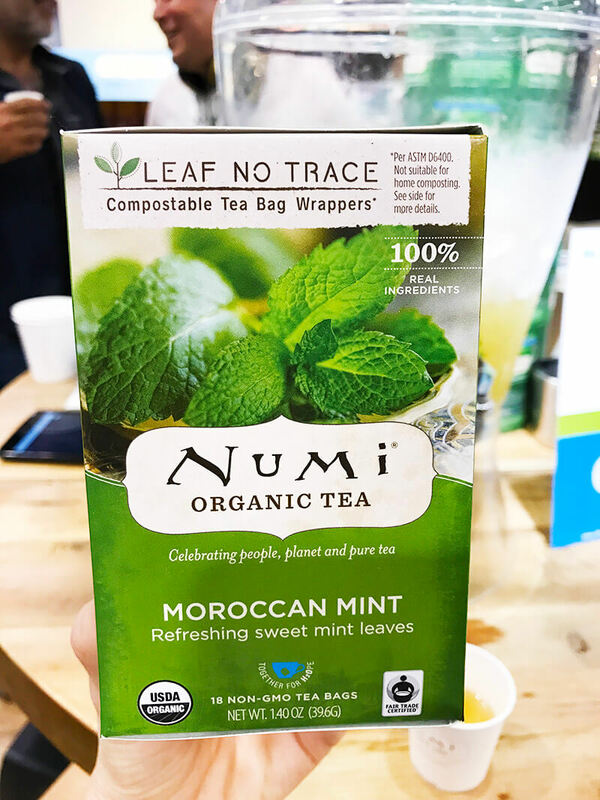 Numi Organic Tea, Moroccan Mint. In my mind, there are really only two tea brands I toggle between: Traditional Medicinals and Numi Organic Tea. But this year at Expo, I spent my time focused on Numi because I just adore their Director of Marketing. She invited me to a happy hour and they served cocktails infused with their Moroccan Mint tea. I wondered after I left if it would be appropriate to start every day like that? I mean, all in the name of drinking more tea, yes?! But seriously, love this flavor. Purchase: Amazon. Their website. A store near you. Mikey’s, Pizza Crust. There are so many make-your-own Paleo pizza crusts out there now. Yes, I could make it myself, but the reason I don’t? Time. Okay? There is a 1, 2, and 4-year-old who have been missing all the pizza because the 1 and 2 year old have some gut issues and pizza always makes for a disaster. When I saw that Mikey’s has a pre-made Paleo pizza crust, I decided that pizza and a movie night should happen soon. Purchase. Amazon (in combination with their English muffins). A store near you. Hodo, 5 Spice Nuggets. I wish I could tell you why I love firm tofu so much, but I just can’t describe it. And I don’t describe it because most people think tofu sounds disgusting so they couldn’t care less. But these 5 Spice Nuggets were so dang good. I know, I know….soy. I’m not a huge fan myself, but if I’m going to eat it – Hodo is where it’s at. Georgia Grinders, Pecan Butter. Their Pecan nut butter is incredible. It’s got the perfect consistency, and even though it’s not “dessert” by nature, I eat it by the spoonful, dessert-style. That said, if you are looking for dessert, they also make a Maple-Caramel Almond Butter that is fantastic! Purchase: Amazon. Their website. A store near you (but there is only one store in Minnesota that currently carries, in Fergus Falls). And there you have my top 29 2018 Expo West finds. Were you at the show? Did you write a “top finds” post? If so, could you link to it below so we have even more awesome products to share? !